Subscribe to get deals from hundreds of merchants including the best of ZILINGO! 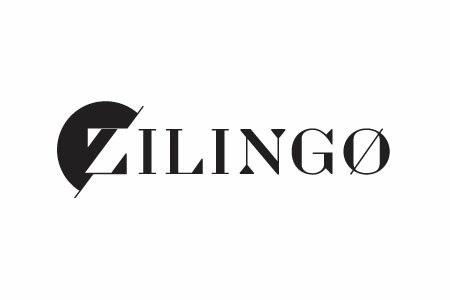 Go to page to enjoy discounts up to 75% at Zilingo. The offer is valid while stocks last, limited items only.. Please always check with the merchant on the validity of the promotion before purchase. Different styles for your different tastes! Flat 50% off selected items. Please always check with the merchant on the validity of the promotion before purchase. New to Zilingo customer set to get 20% off the first order. This promotion is valid only via Zilingo Mobile app. Valid for a limited time only.. Please always check with the merchant on the validity of the promotion before purchase. Zilingo offers 30% off storewide on clearance sale. The promotion is ongoing until while the stocks last. Get the deal to enjoy the offer. Please always check with the merchant on the validity of the promotion before purchase. Shorts in Spring. 30% off men's shorts. Offer valid until stocks last. Please always check with the merchant on the validity of the promotion before purchase. Zilingo offers up to additional 10% off, capped at S$10 with UOB cards. The promotion is valid from 1 Apr 2018 to 31 Mar 2019. Enter the promo code at the checkout to get the offer.. Please always check with the merchant on the validity of the promotion before purchase. Zilingo offers 15% off regular-priced for existing users with Maybank cards. The promotion is available until 31 December 2018. Get the deal to enjoy the offer. T&C apply. Please always check with the merchant on the validity of the promotion before purchase. Zilingo offers S$10 off regular-priced and sales items for new users to Zilingo with Maybank cards. The promotion is available until 31 December 2018. Get the deal and enter the promo code at the checkout to get the offer. T&C apply. Please always check with the merchant on the validity of the promotion before purchase. Zilingo offers 10% off the latest fashion and lifestyle trends with SAFRA cards. The promotion is available until 31 December 2018. Enter the promo code at the checkout to get the offer. T&C apply. Please always check with the merchant on the validity of the promotion before purchase. Zilingo offers a great discount of up to 10% on online purchases. The promotion is valid only on full priced items only. Enter the promo code at the checkout to the discount. The promotion ends on 31 December 2017.. Please always check with the merchant on the validity of the promotion before purchase. Stepping out in style or revamping your wardrobe does't have to cost too much. Here are the latest Zilingo promo code and Zilingo discounts that can land you some sweet savings! Battling the crowds at Orchard Road can be a chore, especially during the festive season. Beat the crowd and get a spanking new outfit for your Chinese New Year with just a few clicks on Zilingo, the hottest fashion and lifestyle website in Singapore, Indonesia, Malaysia, Hong Kong & Australia! Thousands of brands ranging from high end ones like Fendi and Marc Jacobs to indie brands that the public has yet to discover are available here. Here’s a quick review of Zilingo’s Singapore site, so you know what to expect when ordering your apparels online. Do remember to apply the promo codes for certain credit cards (listed above) to get the most bang out of your buck! Feeling unsatisfied with the apparels that you bought? For example, buying the wrong size? Zilingo’s easy return and refund policy makes it simple for you to exchange your item, or get a full refund. As long as you return the item within 14 days for fashion items and 7 days for non-fashion items, you’ll be getting your money back, or a brand new product as soon as you know it. Let us take you through the procedure that Zilingo Singapore has been practicing. The last step would be the easiest - just wait patiently for your new item to arrive! Yup, it’s that easy. You are also not required to pay any shipping fee for returns/exchange. Zilingo Singapore has promised that: “It is completely free for you.” However, do note that the product must have the original tags/MEI/name/image/brand/serial-number/article-number/barcode attached. The WORST moment has to be when you order something discounted online, but the delivery fees just turn you off. With Zilingo, a minimum spending of S$40 gets you FREE delivery! I believe that their thousands of items will leave you spoilt for choice, and S$40 worth of items will be added to your cart in no time. If you’re really unable to hit the S$40, just combine orders with a friend. It’s a win-win situation for both of you! It's easy. Zilingo Singapore has already streamlined the whole shopping process for busy individuals like us. With categories like ‘Beauty Bombshell’ (Holiday makeup) and ‘On The Dance Floor’ (Party wear), shopping for a specific event is effortless. First, select the category you’re interested in. For example, you have an Office party at the newest bar coming up. Click on ‘On the Dance Floor’ for some suitable apparel. Look, I’m only on the first page but I’ve already spotted some great deals! Use the search bars at the side to narrow down your search according to the colour you desire, the type of clothing, and a suitable price range for you. You can even filter the results based on the discount on the apparel. Say I’m interested in the Premium Dorothy Wrap Midi Dress. It’s on a 10% discount, which means I only have to pay S$37.35 for a brand new dress! Remember the minimum spending for free shipping is S$40? That means I can get one more item. After a quick search, I narrowed down my choices to pick this chic looking Reflective Sandals, which cost S$19.90. Now, I’m ready to cart out. But first, I need to apply a valid promo code from Cardable to apply to my cart! Here’s my cart which shows the two items that I’ve selected. The grand total only came up to S$57.25. A whole outfit for less than S$60 is a steal, if you ask me. Plus, the free shipping is definitely the cherry on top. Don't forget to check out the available promo codes especially with the credit cards that you have before you cart out. WHAT ELSE DOES ZILINGO OFFER? Plenty. Other than women’s apparel, Zilingo also has a plethora of items for Kids and Men. They also have a Lifestyle category which has Home items for daily necessities, edible snacks, electronics, appliances, sports items, and even travel items! It’s like going to the mall, but in the comfort of your living room. One important Zilingo Singapore hack: check out the clearance section. The deals expire after 12 days, so you have to act fast. Psst, I spotted a pair of Nike kicks going at 25% off! The products offered on Zilingo Singapore are also guaranteed to be one hundred per cent authentic. So when your friend asks you whether that Herschel school bag you’re carrying is ‘real’, you can answer with a confident YES. Pretend you’re a high flying celebrity by ‘borrowing’ Ryan Reynold’s wardrobe. Zilingo Singapore has paired outfits inspired by Ryan Reynold himself, and the best part is all of them are available on Zilingo! Don’t worry about blowing your monthly budget, because you can find ‘similar’ items, without the priciness of the original brand. For example, a Ryan Oversized Tshirt is going for as low as S$29. The Solid Formal Trousers is even more wallet-friendly, at S$18.50. It’s really easy to pair outfits with the style guides compiled by Zilingo Singapore. No more excuses for being a fashion disaster, is there? The new year is just around the corner. Why wait for 2018 to #treatyourself? I would recommend starting your Chinese New Year shopping as soon as possible, to make sure you’re able to score the best deals. We hope that this simple Zilingo Singapore review and the relevant promo codes for Zilingo will be helpful in stretching your end-of-year bonus. Enjoy the shopping and remember to hashtag your #OOTD on Instagram to show off your haul! Also, these offers don't last forever, so if you've found a great Zilingo promo code, go for it and shop before the promo code expires!